All coins with year 1966 were released into circulation starting with year 1967. 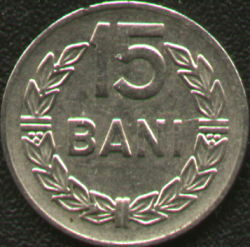 Officially, all communist coins introduced into circulation starting from the monetary reform of 1952 - so the 15 bani 1966 inclusive - mantained circulatory power until December 31st 1996. After this date all these coins were out of circulation, in conformity with the National Bank of Romania circular no. 33 from December 2nd 1996 (published in the Official Gazette no. 347/1996, 1st part). 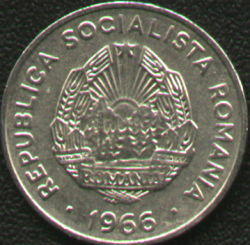 In the book Monetele României (Coins of Romania, by Iliescu and Radovici, 2004, actually written in 1969) is mentioned that this coin was struck in 1967 - 1968 also, all coins bearing the same year 1966. Until 1968 41.165.000 coins were struck. It is almost a certitude that these coins were struck after 1968 also.